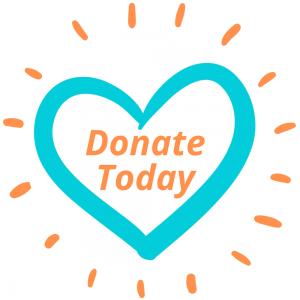 Individuals or organizations can partner with the Massage Therapy Foundation in lots of ways to help support our vision and mission. The Boston Marathon is the world’s oldest annual marathon and running it is a major “bucket list” item for serious distance runners throughout the world. The John Hancock Marathon Non-Profit Program provides a way for runners who might not otherwise qualify to run this marathon to participate. 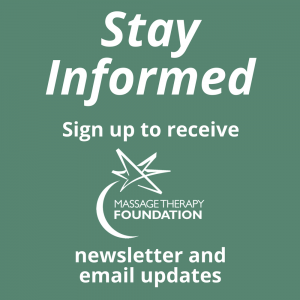 John Hancock has been the principal sponsor of the Boston Marathon for over 30 years and since 2012 the Massage Therapy Foundation has been grateful for the opportunity to participate in their charity program and invite runners to run and fundraise on our behalf. To apply, click here. Find out more about our current and past teams here. Take the on-line Basics of Research Literacy (BRL) class, and get continuing education credits while you support the MTF! BRL is an online continuing education course for all massage practitioners and educators, offered in partnership with Education and Training Solutions, LLC. You can explore the basics of incorporating principles of research literacy into your practice or school curriculum at your own pace. For more information and to sign up for the class, click here. Rise and Shine Music CD’s – Music by massage therapists for massage therapists! Purchase the Rise and Shine Music CD’s through Massage Warehouse, music by massage therapists for massage therapists! Because of Massage Warehouse’s generosity, all proceeds from the sale of the albums will support the Foundation’s programs which advance the profession through massage research, education, and community service. The albums are available for $15 each, or $25 for the set. Both albums are composed of music created by musicians in the massage therapy profession. The Rise album includes a variety of musical genres – including acoustic, bluegrass, and light rock. The Shine album is comprised of songs suitable for relaxation or to be played during a massage. All artists on both albums donated their songs in support of the Foundation and our work. Do you have an idea for an event or a promotion? Let us know by contacting Marla Gamze, at mgamze@massagetherapyfoundation.org or 847-905-1635.